Dr. William Judd, Dr. John Savon, and their entire professional dental team welcome you to Train Station Dental! We are pleased to provide our friends and neighbors in Audubon, Haddonfield, Haddon Heights, Oaklyn, Collingswood, and Cherry Hill with world-class dentistry that always exceeds expectations. 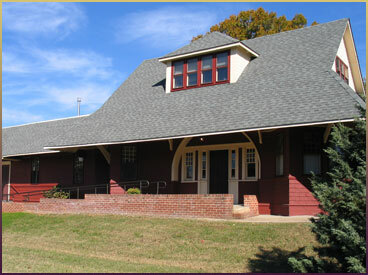 Trains no longer stop at this beautiful, historic train station, but for almost 40 years, families and individuals who value their smiles have been visiting Train Station Dental for quality, state-of-the-art dental care. The building is over 100 years old and retains much of its “old world” charm, yet our dental practice is technologically advanced and offers our patients the best dental care available in South Jersey. Our office is charming, but it is our skilled and caring team members who make it such a special place. You and your family will always be welcomed with a smile and a friendly greeting. From the first time you step into our office, you become part of our extended family. Dental care is personal, and each patient has unique concerns to address. At Train Station Dental, we treat people, not just teeth. Getting to know our patients and developing trust is the best way to provide customized care which accommodates our patients' individual needs. A carefree smile can enhance your life. Our staff strives to help you achieve the smile you desire by providing advanced quality dental care planned just for you. Our practice offers numerous options for making your dental care affordable and accessible. Our in-house dental savings plan includes two exams and cleanings, as well as routine x-rays. You will receive a discount on all other services we offer. If you would like to learn more about this program, please check out our Financial page under the “Patient Info” tab on our home page, or ask a member of our team for details. If you’re insured, we are in-network with most Aetna, Cigna, Delta Dental, MetLife, the Teamsters, and United Concordia plans but will file all insurance claims on your behalf to any out of network insurance carrier. Our team is very knowledgeable about insurance matters, so please don’t hesitate to ask them if you have questions about your plan’s coverage. We are pleased to offer interest-free CareCredit® financing to qualifying applicants, and we accept most major credit cards. Train Station Dental offers quality, technologically advanced, personalized dentistry in a warm and friendly historic setting. Dr. Judd and Dr. Savon care about you and your oral health. If you would like to discover the difference that personalized attention can make to your dental care, call Train Station Dental today. Or visit southjerseysleepsolutions.com for any additional information about sleep solutions. Our team looks forward to welcoming you and your family to our practice!